So everyone that has gone to NAMM - What did you love? What are you excited to open your wallet for? I was blown away by the number of analog synths out on the floor, though some of my favorite stuff was found in the basement (Hall E). 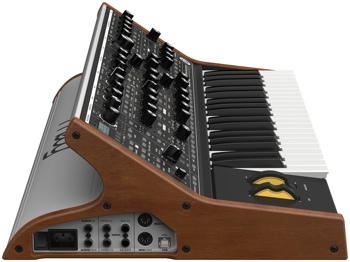 The coolest thing was the Pittsburgh Modular System 10, which is a super-compact, pre-wired modular synth complete with a MIDI-CV converter that will retail for ~$650. The Critter and Guitari Pocket Piano was also pretty sweet, and they even had a Melody Mill (the Pocket Piano's big brother) linked up to the synth section of a Pittsburgh System 10 for all kinds of madness. Aside from that, there wasn't a whole lot at the show that jumped out at me. Still, all that hands-on time with fun hardware that makes cool sounds can't be beat.